Strategically planned workshops and creative methods can bring change to brands – the way they are communicated and the way they are thought about even within their own company. Time after time it’s been proven that 20 brains are better than one. When we come together great things happen. Spontaneous, fun things that are driven by curiosity. The best ideas aren’t born in front of a computer, but as a result of people, pen and post its. At Stendahls I facilitate workshops on a daily basis, both with clients and for our in-house development. How might we make the people of Gothenburg to like the huge power plant in the center of Gothenburg? 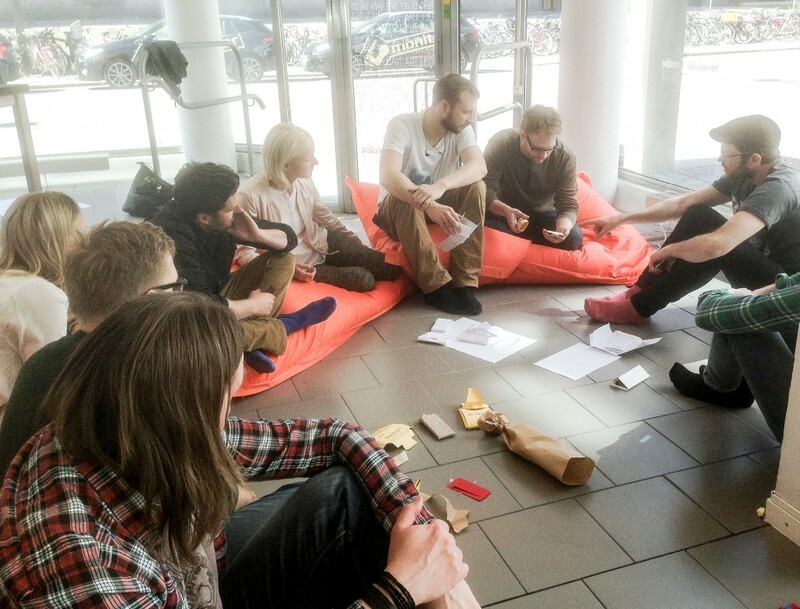 I facilitated a workshop with 30 artists, architects and creatives to come up with engaging ideas. Me and the rest of the Stendahls//Virus team spent a week with the brilliant marketing students from YRGO School of Communications, talking and workshoping about digital marketing and testing various creative tools. Me and my colleague Rodrigo talked about our work with iBeacons and workshoped together with the students of Hyper Island in Karlskrona. To come up with lots of ideas on how to find more spactators for the IFK Skövde handball club, I arranged a Fight Lab workshop with the YRGO students. New tech opens up lots of cool and exciting oportunities. Things that used to be super complex suddenly can be done in seconds. I love this disruptive evolution. The Tinkering Week is a workshop set out to expose the participants to the constant flow of new tech. Playing and testing is key. Fun is included.